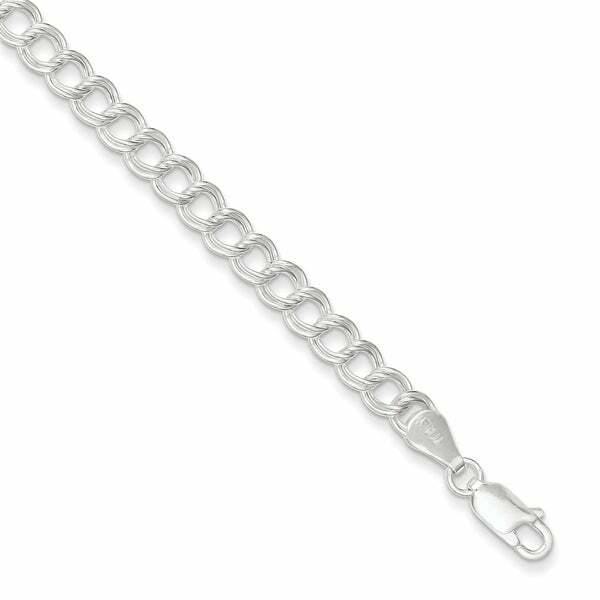 Crafted of polished sterling silver by Versil, this piece of jewelry features an enduring look.The fancy 7-inch long charm bracelet boasts a charming design.The lobster claw secured bracelet weights approximately 5.23 grams. "What is the gram weight of this item." The average gram weight of this piece is 5.22.